A huge, 14 day money drawing ritual candle in large 9" tall x 4" in diameter glass jar. Clear glass round 2 dram bottles with caps. Economical quality. Color of cap may vary. 2 oz. 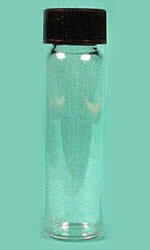 Clear Glass Jar with lid. 4 oz. 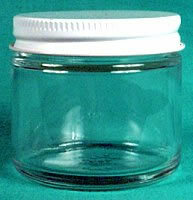 Clear Glass Jar with lid.